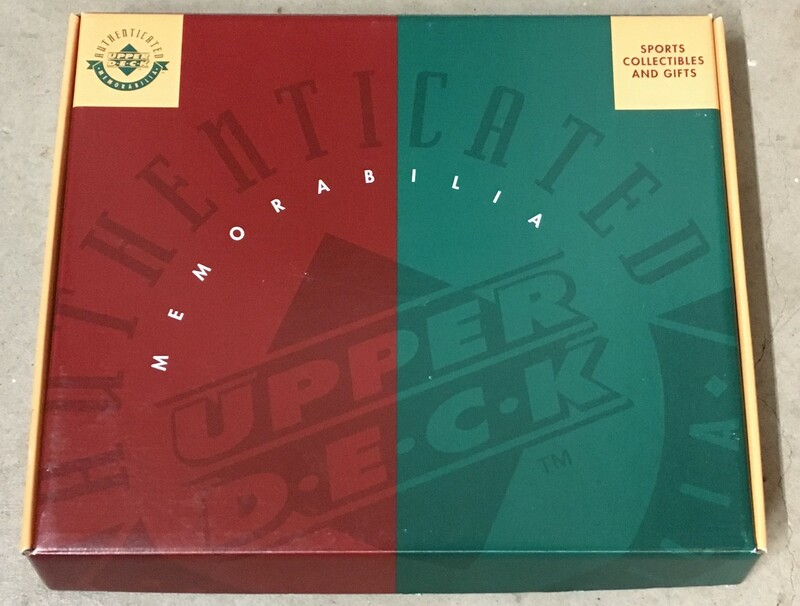 Upper Deck Authenticated (UDA) mid to late 1990s green and red gift box for 8x10 photos, blowup cards and 8 1/2 by 11 commemorative card sheets. Measures 13x10x1 inches. Empty and used but in good condition with only minor dents, dings, scuffs or scratches. Will have various stickers and/or writing on one edge. 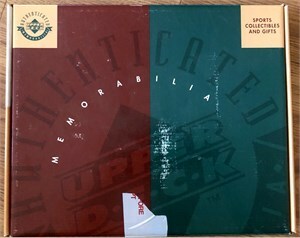 NOTE: UDA 8x10s and blowup cards offered by AutographsForSale.com do NOT include gift box unless otherwise stated in the description.